With the New Year just around the corner, it’s the perfect time to invest in one of our best buy used cars. These top 5 are all around or below $5,000, meaning they’re an affordable option for new drivers or anyone wanting an upgrade from that 200,000 mile lemon. Each of these vehicles received high ratings from Edmunds and Cars.com. This 127 horsepower vehicle is ideal for those seeking a car with curb appeal. It has two doors, 4-wheel ABS brakes, air conditioning, a center console and cruise control to name a few amenities. Cruise control is great to have on long road trips, when constantly adjusting your speed can make the drive seem twice as long. Air conditioning is an obvious plus—who wants to sit in a scorching car over the summer? Your air is always clean with an interior air filtration system. You get 38 miles to the gallon on highway driving with the Honda Civic, and a tilting steering wheel accommodates any body type or stature. A rear defogger and intermittent window wipers give you the visibility you need in inclement conditions, and tinted windows give you privacy while driving. Other features include manual transmission, passenger airbags, power mirrors, remote power door locks, speed-proportional steering and a sunroof. A sunroof is the perfect solution to dreary car rides—open up the car and gaze at the stars from the back seat! What makes this one of the best buy used cars is that is has very low maintenance cost, is a standout in reliability, and has that ‘new car’ look without the huge price tag. In terms of safety, child seat anchors, emergency interior trunk release, and engine immobilizer take it to the next level. Not only are you safe, but rear height adjustable headrests ensure you’re comfortable too. This coupe has a nearly 5 star user rating from Edmunds, giving it the top spot on our best buy used cars list. This vehicle has an Edmunds rating of 4.3 out of 5 and comes with several features that make it a tempting buy. It’s one of our top 5 best buy used cars because it has 136 horsepower, a 2.0L engine, a fuel capacity of 14.00, and 33 miles to the gallon on highway driving. With a smaller build (168.5” length, 66” width, and 56” height), you can park this car with ease. Plenty of leg and head room makes your car accessible to even the tallest friends, and 18 cubic feet of cargo capacity allows for easy storage and luggage transportation. This vehicle has seating for five people, making carpooling simple. Typically, a Ford Focus will also come with alloy wheels, an AM/FM Stereo, Bluetooth capabilities, a CD player, cloth seats, a rear defroster, side airbags, and traction control. Tack on rear bench seats, privacy/tinted glass, a center console, and rear wipers for a vehicle that’s definitely worth the price. You don’t have to worry about this car being useless in the winter, since defrosters work to keep your car nice and toasty. If you’re feeling nostalgic, you can even jam out to some Britney Spears and Backstreet Boys hits with your CD player. Safety is key in this model; airbags protect you on every side and an occupancy sensor ensures you don’t forget the seat belt. A theft deterrent radio (hopefully) keeps thieves from making a move on your car. Child safety attachments and child locks on the rear doors makes this vehicle optimal for families. This model was rated highly in terms of both comfort and handling. 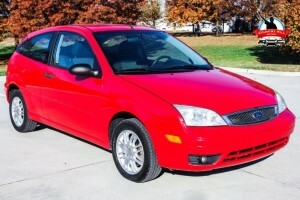 In the upgraded 2007 model of the Focus, leather-trimmed sports seats were added as an option and the sound system was upgraded. This Sedan scored the top rating in the IIHS frontal offset test and currently has only 61,797 miles on it, putting it third on our best buy used cars list. It gets 27 miles to the gallon on the highway and is a spruce green clearcoat metallic. The interior is a medium graphite with leather seat trim, proving that a luxury look doesn’t have to come with a luxury-level price tag. A 3.0L V6 engine creates 200 horsepower for a ride that will exceed your expectations. A great asset with this car is 4 doors—you don’t have to deal with the hassle of piling everyone into the backseat. This vehicle comes with air conditioning that controls the climate to your exact specification—your passengers will love it! One of the best amenities that this Sedan has is an external temperature display. That way, you can make an informed decision about whether the 30-foot walk to your front door in the freezing cold is worth it, or whether you want to just drive around in your conveniently heated Mercury Sable for a bit longer. Like the previous vehicles, this one comes with cruise control, passenger airbags, power door locks, power windows, tinted glass, a tilted steering wheel, intermittent window wipers and a rear defogger. On top of that though, it has automatic transmission, a chrome grill, dusk sensing headlights, power heated mirrors and a multi-function remote that controls the trunk, hatch, door and tailgate. It has a 4 star rating from Edmunds, so you know it’s a vehicle that you can count on. It’s no wonder it ranked so highly on our best buy used cars list. This well-cared-for coupe has just 87,741 miles and gets 31 miles to the gallon on highway driving. Its dark silver exterior and cloth seat trim make it a standout, and a 3.5L V6 engine with 211 horsepower give you the vroom you’re looking for. Special features include a 6-way power adjustable driver’s seat, air conditioning, a center console with covered storage, cruise control, daytime running lights and dusk sensing headlights. Having extra storage space in your center console is great for storing spare change, important documents, or spare gloves/hats during the wintertime. It comes with an interior air filtration system and an overhead console, as well as power mirrors and steering. Remote power door locks make it easy to lock and unlock your car, and a tilt steering while adjusts to you. A 4.5 star rating from Edmunds and 9/10 rating from Kelley Blue Books is a testament to the quality of this vehicle. Not only does it have an exterior that you can take pride in, but it also comes at a newly discounted price. 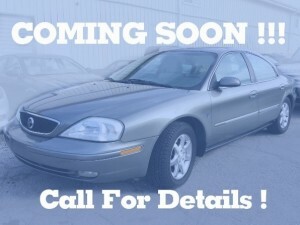 OnStar comes standard in this model, making it one of our best buy used cars. Standout features include displacement on demand (V-8), four trim levels, and a spacious interior. 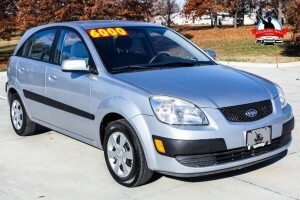 This Kia Hatchback is one of our newer best buy used cars, and only has only 88,345 miles on it. It has great gas mileage as well, with 33 miles to the gallon on highway driving. It has a silver exterior and full cloth seat trim that will make you wonder how the price tag is so low. A 1.6L engine and manual 5-speed come standard in this 110 horsepower vehicle. Four doors allow you to unload and load your car quickly and easily, while reclining rear seats ensure your passengers can sit back and relax. You can stay nice and cool in the summertime with air conditioning and keep your items in reach with a center console storage unit. Like the previous vehicles, this one takes safety seriously. It comes with head airbags (curtain 1st and 2nd row) as well as a passenger airbag. Visibility is kept clear through intermittent window wipers, rear defoggers, and rear wipers. Optional power heated mirrors help with the ice in the wintertime. Tinted glass gives you privacy, and a tilt steering wheel works with any posture and size. 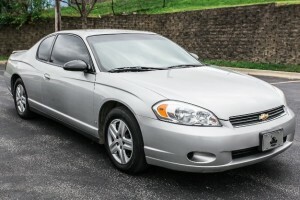 On Cars.com, this model was rated highly in terms of fuel economy, safety features, transmission operation, maneuverability, and ride comfort. It received 4.2 out of 5 stars. The exterior of this car has a European style, including a black mesh grille and swept-back headlights. Sculpted design and body-colored mirrors help make this vehicle one of our top 5 best buy used cars. Depending on how low you want to be to the ground, you can choose between 14”, 15” or 16” wheels. Standout features with the interior include chrome dashboard accents, red stitching on the steering wheel/gearshift knob/door panels, and a USB connector. Plus, Sirius Satellite Radio comes standard. It’s these little details that ensure you notice something new about your vehicle every day. These best buy used cars have been featured based on the customer satisfaction rating and our own assessment of their condition. However, If you’re wary of purchasing one of our best buys used cars because they’re pre-owned, you can check out the vehicle history report of the car through Carfax on every used vehicle listing. Here at Country Hill Motors, we do everything we can to get you the car you want at the price you need.